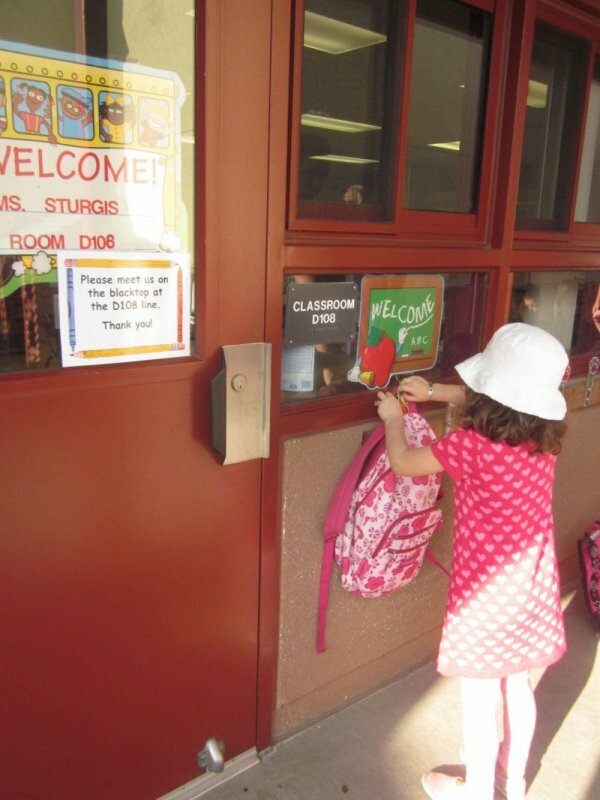 Inside: Is your child ready for their 1st Day of School? Are you ready? 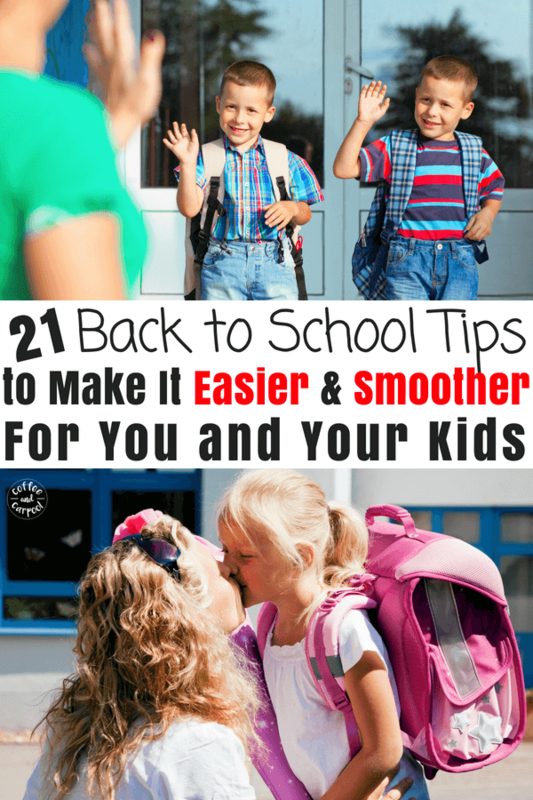 You need these clever and practical tips to make Back to School easier and to set your kids up to have a successful school year. My third and final kiddo is heading off to Kindergarten this fall. And while I will without a doubt get teary-eyed, I’m also much better prepared this time around to make sure it’s a smooth transition for her. 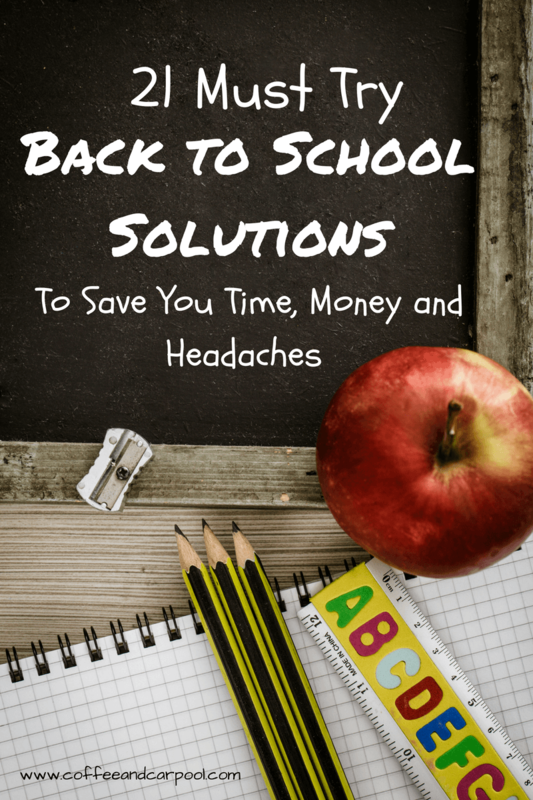 Because Back to School time can conjure up conflicting emotions: excitement, worry, relief, anxiety, happiness, and sadness. Will our kids make friends? Will they get a great teacher or the one we *gulp* heard about at the playground? Will they find the cafeteria and the gym and know where to go to the bathroom? So we need to prepare our kids mentally and physically for school to start. They need to have the right school gear. They need to be emotionally ready to say goodbye for the day. And they need to know what to expect, and what will be expected from them. 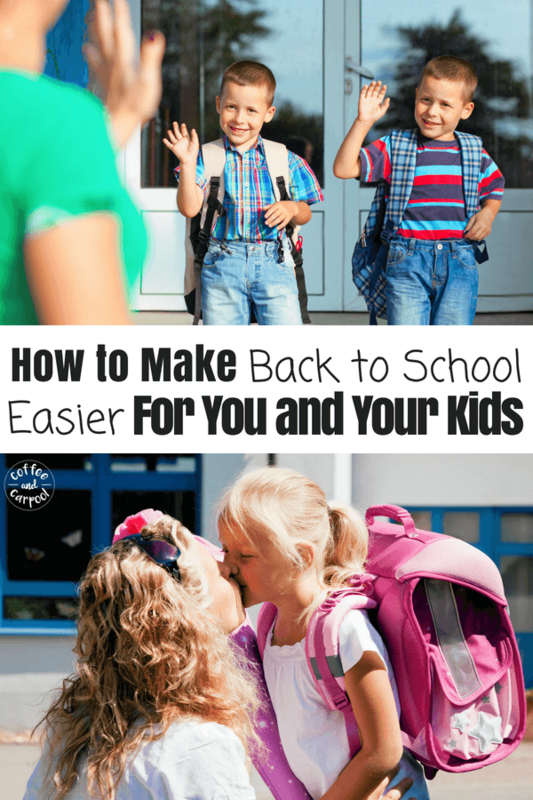 These are our family’s go-to tips to make Back to School easier and to make our school mornings and days calmer. 1. Start talking about school early. 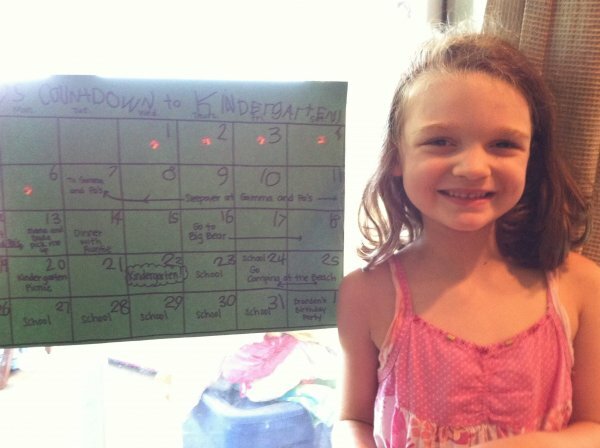 Make a countdown calendar or paper chain so they know when they’re starting school. Talk about “getting to go to school” rather than “having to go to school” to keep the conversation about school positive. 2. 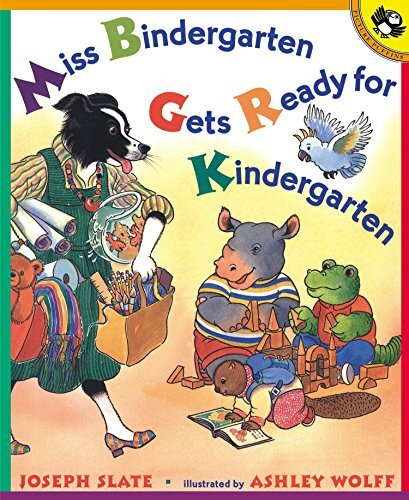 Read great books about school so they know what to expect. 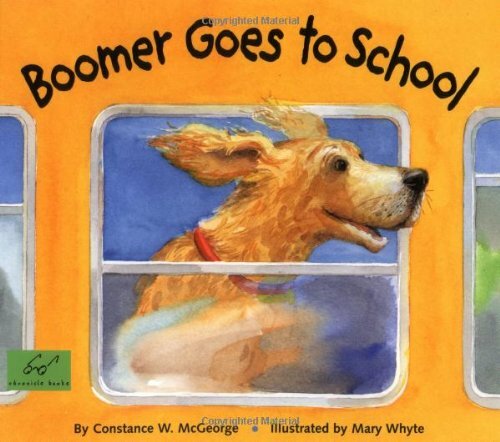 Reading books together is a great way to prepare our kids for school. 3. Choose a backpack that is just right. A backpack has to be big enough to hold their folder, their lunch, gym shoes (if needed) and their library books. Jansport backpacks are my personal favorite because there is a lifetime warranty on them- if they break, Jansport will fix or replace them. A $20 Princess backpack that lights up will for sure break by April. Trust me. But kids who have the chance to pick out their backpacks will have a vested interest in it and will undoubtedly get them more excited for school to start. If the princess backpack is what gets them excited, then be prepared to buy two in a year. 4. Lay out clothes the night before. When we remember to lay out clothes the night before, our mornings always go smoother. It avoids arguments and lengthy discussions of why plaid doesn’t match polka dots at 7am. And since our daughter loves to wear a dress or skirt to school, we have a stack of shorts or leggings to match for when she sits on the rug. 5. Label all their clothes: sweaters, sweatshirts, mittens, hats, jackets, and snow gear. We remind our kids every day–especially in the winter– when they take something off, it goes right into their backpack. Mittens come off and go right into their jacket pockets. It avoids you digging through the mildewy lost and found bin later. But we also label all of their sweatshirts, coats, and winter gear. 6. If your child is feeling anxious about the separation, read them the Kissing Hand. 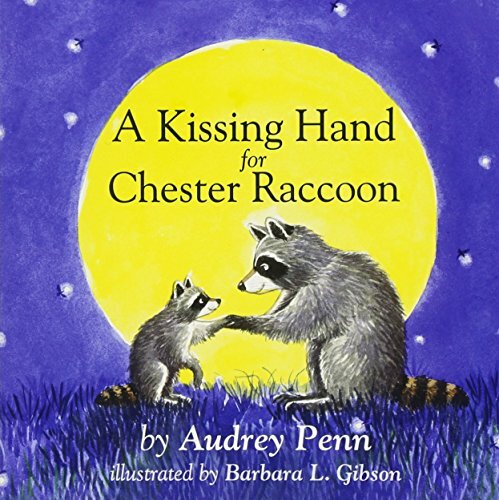 The Kissing Hand is a must read in our family before our kids head off to school and we often give and get”Kissing Hands” whenever anyone is nervous with a transition. It’s a sweet tradition to help with big changes. 7. Send friendly faces to school. Sometimes a long day with all new faces can be extremely overwhelming. 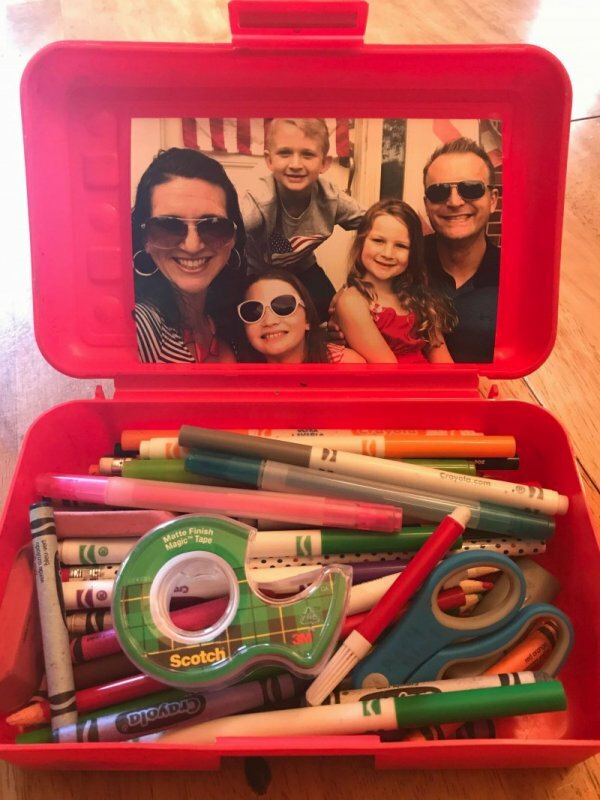 Tape a picture of your family inside your child’s lunch box or supply box. Seeing a friendly face when they’re feeling nervous or anxious can help them get through the day. 8. Have easy, ready to go breakfasts your kids will eat. Breakfast time can be stressful or calm. Having easy foods makes the mornings smoother. Cereals, yogurts, oatmeal, bagels…whatever is fast and easy. I double my pancake or waffle recipe when I make them and freeze the leftovers for hot, home cooked breakfast on the table in less than 3 minutes. 9. Do. Not. Let. Your. Kids. Leave. The. House. Without. Lice Spray. My eldest came home from Kindergarten with a raging case of head lice. And all 5 of us got it. It was the biggest nightmare. So now, my girls wear their hair up in braids, buns, or pony tails. Every day. And everyone gets sprayed with lice spray…even my son. He uses it as a hair gel because it’s pretty sticky. 10. 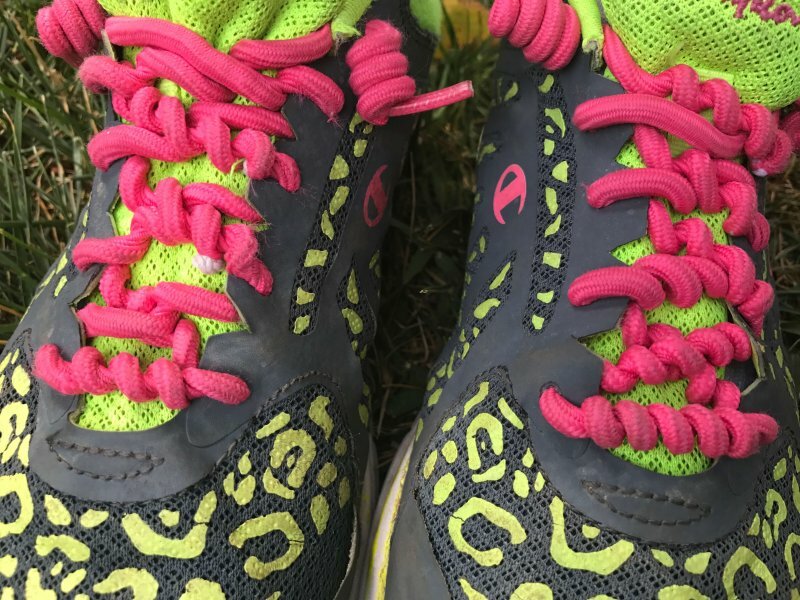 For tennis shoes, gym shoes, or running shoes, get no-tie laces. These are the best $3 I spend all year. Even if your kiddo knows how to tie their shoes, chances are they aren’t super fast at it. As a teacher, I spent half my day tying laces. We practice at home, but I send them to school with these easy guys. As an added bonus, when it’s time to get their shoes on in the morning, it’ll take kids seconds rather than minutes! 11. Meet your child’s teacher before school starts and see the classroom. We try to meet my children’s teacher before the first day of school to ease anxiety and worries. If it’s possible, take a tour of the school so your kids will see where they will eat lunch, where they will go to the bathroom, and where they can get water. Knowing their basic needs will be taken care of will assure them. Knowing where they can hang up their backpack and where they’ll sit will get them excited. 12. Get a visit from the Back to School Fairies. The Back to School Fairies don’t come to every family–wink, wink–but they have always come to our house. Nothing excites my kids more than knowing the fairies are coming the night before school to bring them a little surprise. The fairies always bring really fun school supplies, like smelly markers and stickers. 13. Purchase a lunch box that has 2 separate zippers, one for lunch and one for snack. My eldest was always eating her lunch at snack time and came home starving. It was confusing her, plus since she spent all of her recess eating, she never played. Separating the two made it so much easier for her to know what to eat and when. 14. Lunch notes make eating away from home more fun. I try to stick a note in my kids’ lunch boxes as often as I can because a mid-day love note is always a welcomed surprise. We use black magic notes and lunch box jokes. 15. Prepare your child for the fact that your school is most likely nut free or nut safe. 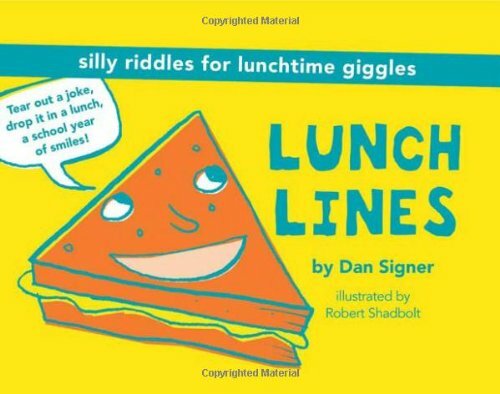 Start getting your child ready by finding non-nut lunch snacks and meals. Try sunbutter in lieu of peanut butter. Double check your granola bars. The food allergy kids and their moms (like me!) will forever be grateful. In our family, we use oils for several things, but my favorite reason is to fight off germs. So with every new school year, we use Thieves oil from fall to spring. 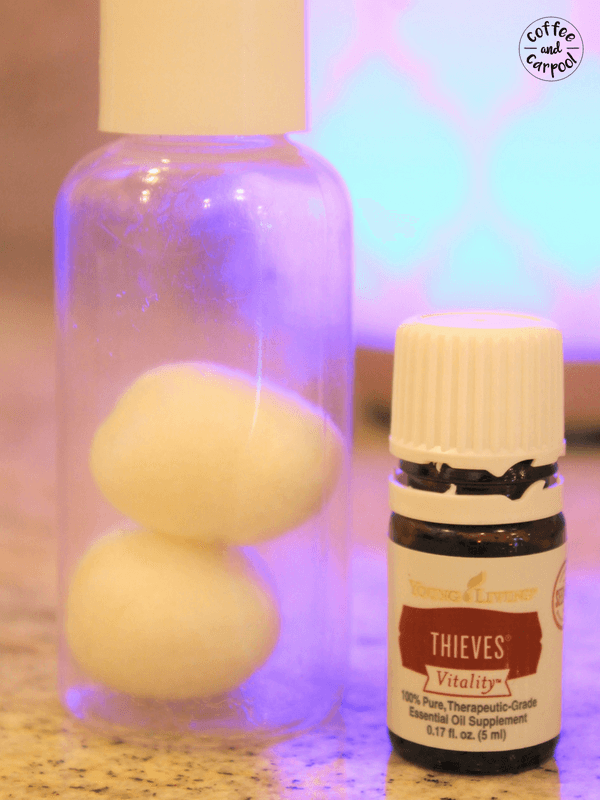 My go-to way to get my kids an immunity boost at school is to send them with Thieves oil dropped onto cotton balls in a travel toiletry container. When I stick it in my daughter’s backpack, she sniffs it a few times a day to ward off the cold and flu germs surrounding her. I also send my kids to school with a quick roll from a Be Brave roller to help them if they’re feeling nervous or unsure about school. It gives them a little mental boost to know they have the ability to lower their own anxiety, worries, and fears with a quick sniff of their wrist. 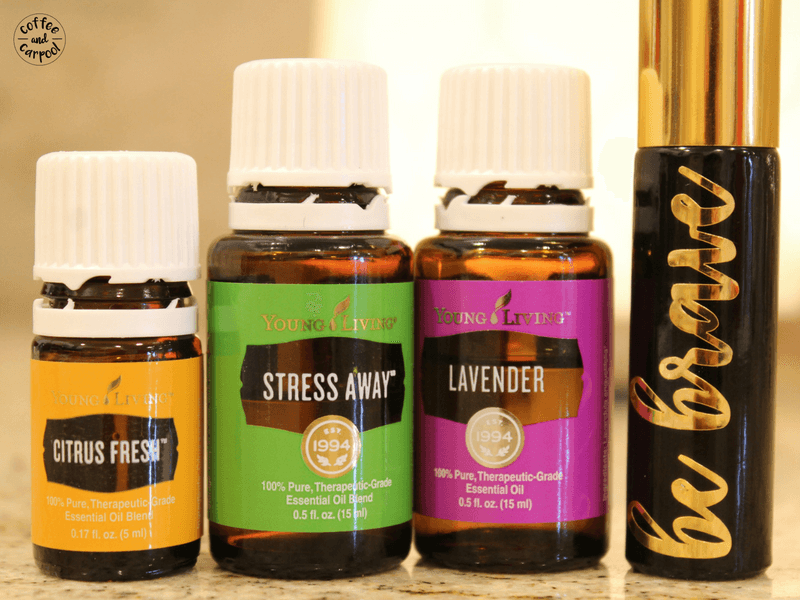 Want more info on oils? Click here. 16. When it’s time for goodbyes, don’t linger. Parents who linger at drop off make it harder for their kids. If your child is crying, they will calm down a few minutes after you leave. It’s 99% guaranteed. A quick hug, kiss, and a reminder that you’ll see them after school is perfect. Then walk out the door. You can cry in the parking lot with the rest of us. If you’re going to linger, linger at pick up. Come into their classroom. See their work. Or spend extra time on the playground after school to meet their classmates and the other parents. 17. Set up a homework station at home. Starting the year off with clear expectations and good habits about homework will set your kids up for academic success. 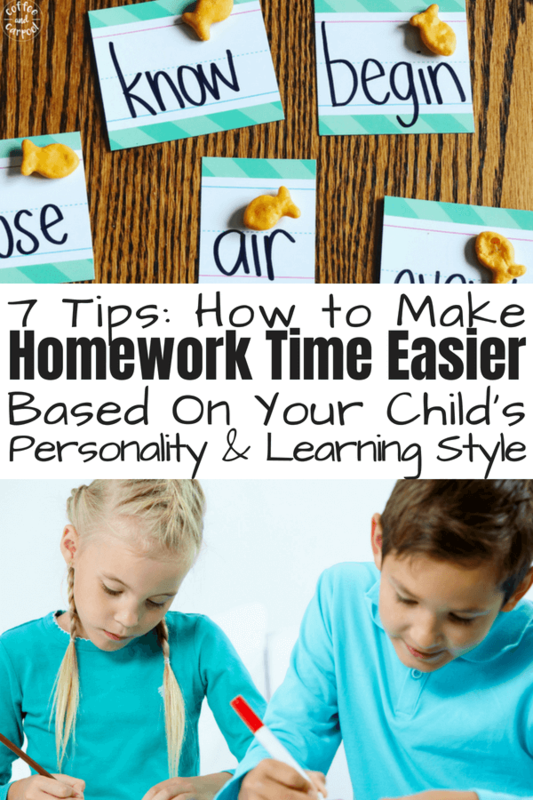 We create a space with crayons, pencils, scissors and glue sticks–everything your child will need to be successful at completing their homework and avoid homework hassles later. Our family’s routine: come home, empty your backpack, wash your hands, get a snack, and start your homework. Then play. It’s non-negotiable and they know what to expect because they’ve been doing it since Day 1. 18. Have a designated spot to hang up backpacks. There is nothing worse than trying to find your kid’s backpack when you’re running late to school in the mornings. The easiest way to avoid it is to have a pre-determined out-of the way spot, with a hook for each kid’s backpack. It’s easy to empty and it’s easy to refill for school the next day. 19. Clean out their backpacks every day. Speaking of good habits, when we get into the routine of going through our student’s folders and backpack right away, we make our lives easier. We look at all their work so we can see what they’ve been learning in school. A lot of erase marks or teacher marks on their work is a communication to you that they’re not yet understanding what is being taught. Recycle what you don’t want to keep (worksheets, tests, etc. ), hang up the artwork, and save anything special like writing projects. 20. Sign the forms you get right away and stick them back into their backpacks before you forget. You do not want to be scrambling in the morning or the only parent who didn’t sign the field trip permission slip. I try to sign everything and put it in their backpacks in the afternoon. It makes for smoother mornings. 21. Plan a special first day of school dinner and serve their favorite meal to celebrate their big first day. 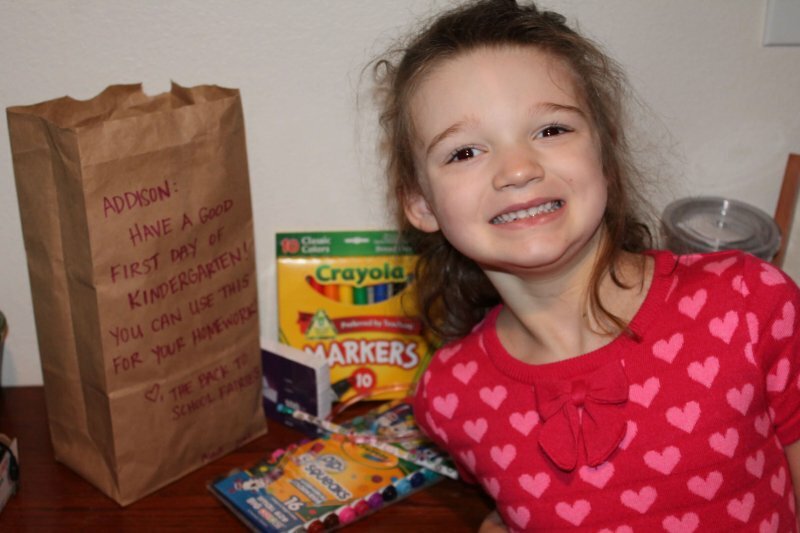 Celebrate the success of their first day and your first day sending them off to school. Keeping school positive will keep our kids excited to return to school tomorrow. Because sending your kiddo off to school for the first time can be traumatic for parents. But if you’re prepared, and your child is prepared, it’ll go a lot smoother. Which is a good thing, because you’ve got at least 179 more school days to go. What’s your favorite Back to School tip that you love to share with other parents? Super!!!! I loved reading your tips! Thanks for sharing! My kids start school this Wednesday so I will definitely be using these! I am having mom anxiety but I feel like they are pretty prepared. I love “The Kissing Hand” book idea! I’m gonna see if I can find that! It’ll be way harder for you than for them. Just remember to cry in the parking lot, not in the classroom! 😉 The Kissing Hand is the best! Good luck! 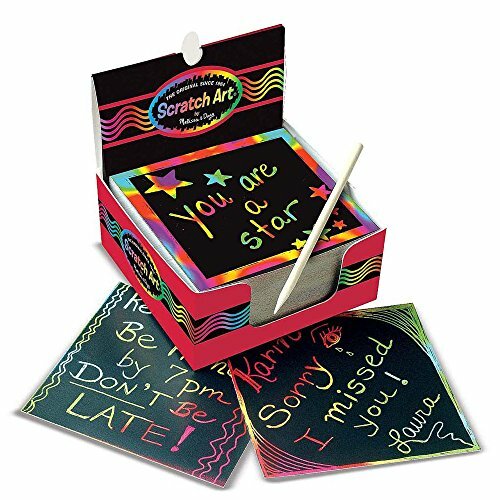 I love the idea of putting a picture in with their school supplies so they can see friendly faces while at school. That is genious! I love these creative tips! I’ll have to check out The Kissing Hand for when the time comes for my little one to start school (I still have a while though… Thank God! )… And lice spray, something else I don’t want to think about. Definitely pinning this for later! 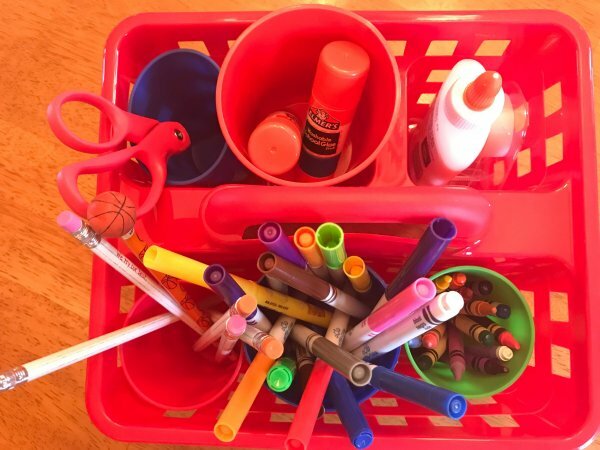 -Angela | Natural Born Mommy… Recently posted 13 Back to School Behavior Tips. So glad. Lice spray is my everything. Way better to think about it before hand than to deal with it after. I’m itchy just thinking about it! What a great list! “You can cry in the parking lot with the rest of us” – so, so true. My kids are both in their 20s now but I can remember this all too well. And if I thought the first day of Kindergarten was tough, well, it was nothing compared to dropping them off at university ! Bigger kids, bigger problems, right? At least with Kindergarten you get to pick them up at the end of the day. College will be a whole different ball game!